May asks EU to postpone Brexit until 30 June.The British Prime Minister Theresa May asked the European Union on Friday to postpone the Brexit until 30 June. It is declared in a letter from May to Donald Tusk, the President of the European Council. May writes that the United Kingdom is preparing to participate in the European elections in May. If the parties reach an agreement before 30 June, the Brexit can take place earlier than 30 June, according to May. All EU member states must collectively agree with May’s proposal to move the day of the Brexit to 30 June. The British prime minister wants to use that time to agree with her divided parliament. The EU has acknowledged the British until 10 April to find a solution or to request a further postponement. If that does not work, a Brexit will follow on 12 April with no exit deal or agreements on the following relationship between the UK and the EU. For a majority of the Lower House, such a hard Brexit is not acceptable. and the premiers of Scotland and Wales about breaking the Brexit deadlock. 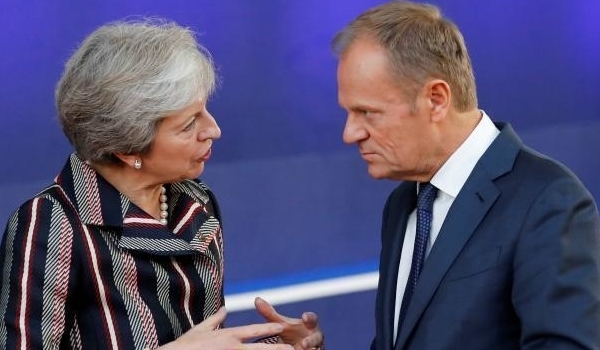 Earlier on Friday, Tusk proposed giving the United Kingdom a “flexible” 12 month grace period for UK withdrawal from the EU.